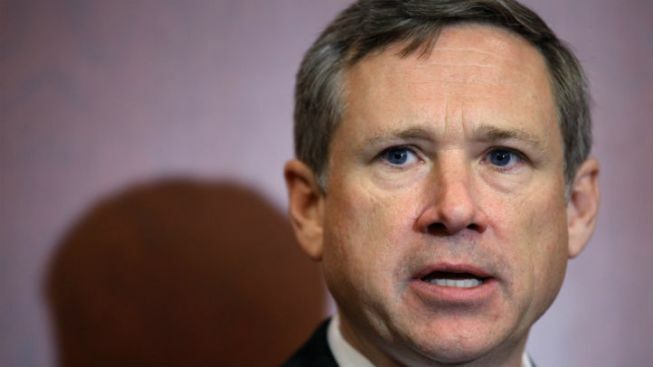 The Chicago Tribune editorial board on Friday endorsed incumbent Mark Kirk and Rep. Tammy Duckworth for U.S. Senate. Kirk won his seat in 2010, beating out Democratic nominee Alexi Giannoulias, Green Party nominee LeAlan Jones and Libertarian Mike Labno. Prior to that, Kirk served in the U.S. House of Representatives. In their endorsement, the Tribune lauded Kirk’s centrist leadership as a senator. The paper also championed Kirk’s decision to break with Republican senators to support moving forward with hearings to appoint a new Supreme Court justice under President Barack Obama. “He is one of the few Senate Republicans willing to give a hearing to whomever President Barack Obama nominates to fill the vacant Supreme Court seat,” the board wrote. The endorsement applauds Kirk for his independent voting record and his willingness to cast votes that aren’t aligned with his party’s consensus. The paper also credits Kirk for his military record and agrees with the senator on his stance on Syrian refugees. The editorial board is optimistic about Kirk’s opponent in the Republican primary, James Marter, but ultimately felt he was under-qualified for the role of U.S. senator. Duckworth, who is a strong front-runner for the Democratic nomination, also received a nod from the Tribune’s editorial board. The board previously endorsed Duckworth’s House campaigns in 2012 and 2014. Duckworth, a combat veteran who joined the U.S. Army Reserve in 1990, lost her leg in 2004 while co-piloting a UH-60 Black Hawk helicopter in Iraq. She subsequently served as Director of the Illinois Department of Veterans Affairs from 2006 to 2009 and later as Assistant Secretary for Public and Intergovernmental Affairs in the US Department of Veterans Affairs from 2009 to 2011. During her time in the House of Representatives, Duckworth has been a champion of military causes. The endorsement also credits Duckworth’s skepticism over a plan by the Obama administration to spend $500 million to train Syrian rebels in the fight against ISIS. The endorsement does fault Duckworth for supporting the government continuing to spend beyond its means. Duckworth, Zopp and Harris will face off in the March 15 Democratic primary. Kirk and Marter will face off in the March 15 Republican Primary.